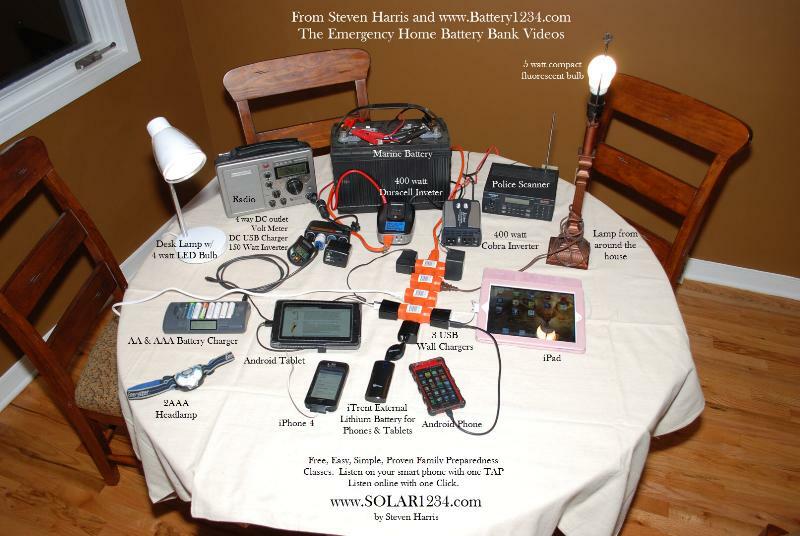 Battery Bank Show #1 - Emergency Home Power - Selecting the Correct Battery for You. I am going to teach you on these two podcasts EXACTLY how to build 1. A Home Battery Bank and 2. 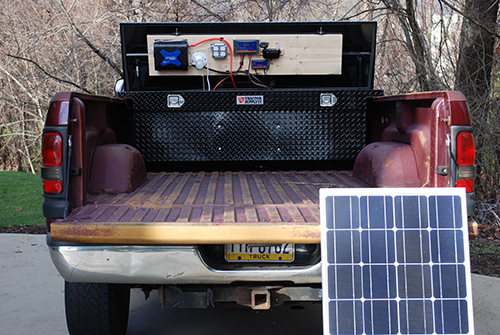 A Mobile Battery Bank. These will power most stuff you need in your house during a disaster. I give you ALL of the details in the podcast you could want to do this and of course the podcast is all FREE. Just hit TAP HERE TO LISTEN below and start streaming it to your phone or computer, or you can download it. However, before I tell you how to build the battery bank you want, we have to pick out the battery that is RIGHT for YOU. Do you need large and cheap? Do you need 100% acid save? Does your bank have to move with you ? I cover all of the details. This is your 1st class education in batteries. You can HEAR me tell you everything you could want. 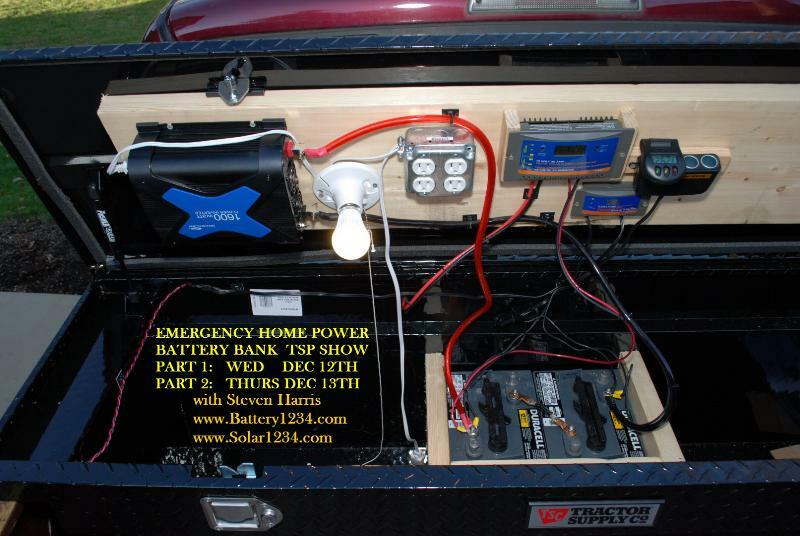 SHOW #2 is hand on stuff on EXACTLY how to build a battery bank for your home or your car. I start you out with a straight marine battery with DC power only. DC only cell charging, DC only light. 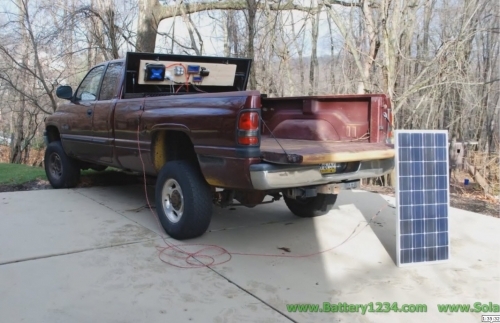 Then we start adding inverters and adding more batteries and I take you all the way up to a 4 golf cart battery bank with a 2000 watt inverter. This is ALL in the TSP SHOW HERE, click TAP HERE and start to listen to it now...no charge, its all FREE I TELL you how to do everything. Steven Harris on The Survival Podcast for 15th Time! If you want me to SHOW YOU exactly, step by step, how to select a battery and hook it up then get the Battery Bank Video Below. Its 5+ Hours of hands on, DIY, step by step instruction and its only $34.95. Satisfaction Guaranteed on everything, always. Steven Harris on The Survival Podcast for 14th Time! * Don't Be a Fool & Suffer. This is the Right Thing to Do ! * Watch Online Instantly & Download if you want. * iPad, Android, Mobile Compatible !! For a detailed product list, including Amazon links to purchase, CLICK HERE! These photos will get you excited about what I am going to teach you.